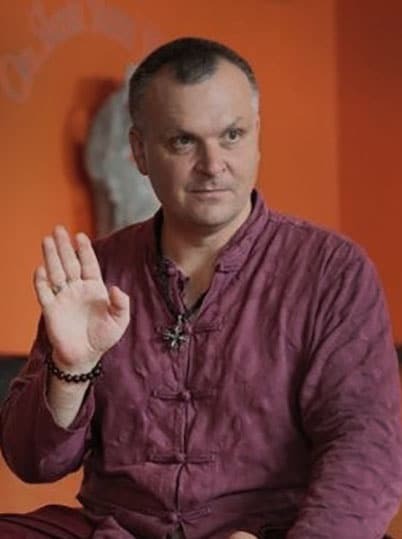 We’re pleased to offer Universal Theory of Yoga: Level I, a transformational series featuring 24 hours of trainings on yoga by master teacher Andrey Lappa. This exclusive workshop was recognized as one of the top ten yoga videos of all time by Yoga Journal. Universal Yoga is more than a style of physical practice, it is a comprehensive, systematic approach to spiritual evolution through classical yoga in all its forms. The Universal Theory of Yoga: Level I series introduces practitioners to Andrey Lappa’s groundbreaking system of Universal Yoga. Developed over two decades of intensive study and practice the Universal Yoga system focuses on many aspects of a well rounded yoga practice, including asana, vinyasa, pranayama, the energy of bandha, mudra, and drishti, the function of chakras, the activation and control of kundalini, and so much more. This series contains over 24 hours of workshops, lecture, and practice. The Universal Theory of Yoga teaches safety techniques, control of breath, and positioning of the body in asana and vinyasa. This program will teach you how to practice yoga, and how to teach yoga in a safe, nurturing environment. Yoga includes sound, as well as movement and breath. The Universal Theory of Yoga: Level I program also includes instruction on mantras and sound energy. Yoga is so much more than a form of exercise. The Universal Yoga system developed over decades by master teacher Andrey Lappa includes asana, movement, breath, energy, sound, spirit, and more to encompass a more comprehensive understanding of yoga and its ability to awaken the body, mind, and spirit.